Maximilian Müller is a PhD Student in Computer and Information Science at Linnaeus University, Sweden, since May 2013. He is also a member of CeLeKT at the Media Technology department since October 2011 where he has spent an internship and written his Master’s thesis with the research group. 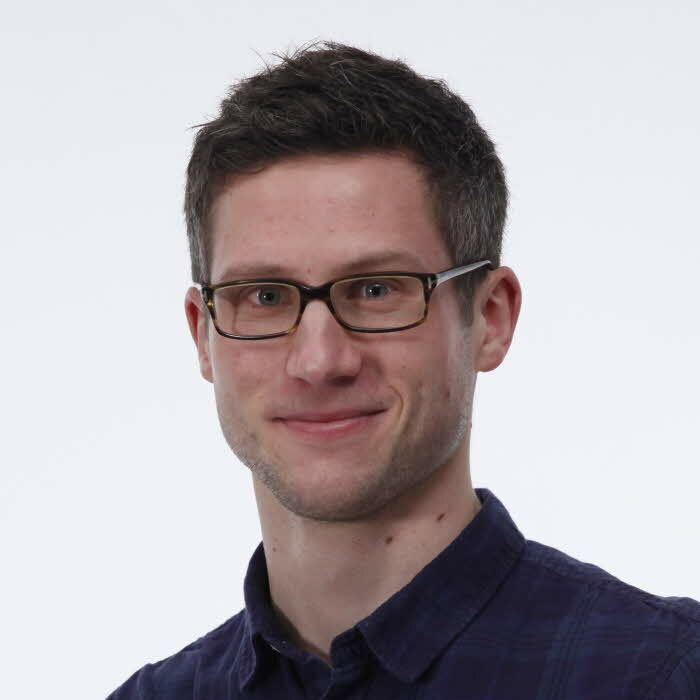 Maximilian holds a MSc in Media Informatics from the University of Applied Sciences (Beuth Hochschule) Berlin, Germany, and he completed a BEng in Information Technology at the University of Applied Sciences (HAWK) Göttingen, Germany. Currently, his research projects are centred around interactive digital public displays. This divides into both the development of applications and systems as well as the subsequent evaluation of the technology once applied. In addition, he has interests in the fields of interactive systems design including multi-touch surfaces, large screen environments and mobile devices on the one hand and novel interaction technologies, pervasive computing and conceptual HCI (Human-Computer Interaction) frameworks on the other. Vogel, B., Kurti, A., Milrad, M., Johansson, E., Müller, M. (2014). Mobile Inquiry Learning in Sweden : Development Insights on Interoperability, Extensibility and Sustainability of the LETS GO Software System. Educational Technology & Society. 17. 43-57. Müller, M., Alissandrakis, A., Otero, N. (2016). There is more to come : Anticipating content on interactive public displays through timer animations. PerDis 2016 : Proceedings of the 5th ACM International Symposium on Pervasive Displays. 247-248. Hoppe, H.U., Müller, M., Alissandrakis, A., Milrad, M., Schneegass, C., et al. (2016). "VC/DC" - Video versus Domain Concepts in Comments to Learner-generated Science Videos. Proceedings of the 24th International Conference on Computers in Education. India: Asia-Pacific Society for Computers in Education. 172-181. Müller, M., Otero, N., Milrad, M. (2016). Shared Interactive Music Experiences in Public Spaces : User Engagement and Motivations. Proceedings of the 2016 ACM International Conference on Interactive Surfaces and Spaces. 287-296. José, R., Müller, M., Felix, A., Silva, B. (2015). An application framework for place-based displays with mobile interaction. Proceedings of the 4th International Symposium on Pervasive Displays. 251-252. Müller, M., Otero, N., Alissandrakis, A., Milrad, M. (2015). Increasing user engagement with distributed public displays through the awareness of peer interactions. Proceedings of the 4th International Symposium on Pervasive Displays. 23-29. Müller, M., Otero, N., Alissandrakis, A., Milrad, M. (2015). Application features to convey peers' interactions to engage users in a display network. Proceedings of the 4th International Symposium on Pervasive Displays. 267-268. Müller, M., Otero, N., Alissandrakis, A., Milrad, M. (2014). Evaluating usage patterns and adoption of an interactive video installation on public displays in school contexts. MUM '14 Proceedings of the 13th International Conference on Mobile and Ubiquitous Multimedia. 160-169. Otero, N., Alissandrakis, A., Müller, M., Milrad, M., Lencastre, J.A., et al. (2013). Promoting secondary school learners' curiosity towards science through digital public displays. Proceedings of International Conference on Making Sense of Converging Media, AcademicMindTrek '13. 204-210. Otero, N., Müller, M., Alissandrakis, A., Milrad, M. (2013). Exploring video-based interactions around digital public displays to foster curiosity about science in schools. .
Dadzie, A., Müller, M., Alissandrakis, A., Milrad, M. (2016). Collaborative Learning through Creative Video Composition on Distributed User Interfaces. State-of-the-Art and Future Directions of Smart Learning. Springer. 199-210.